This accessible and timely book uses a Christian perspective to explore ethical debates about nature. A detailed exploration of humanity’s treatment of the natural world from a Christian perspective. Covers a range of ethical debates, including current controversies about the environment, animal rights, biotechnology, consciousness, and cloning. Sets the immediate issues in the context of underlying theological and philosophical assumptions. Complex scientific issues are explained in clear student-friendly language. The author develops her own distinctive ethical approach centred on the practice of wisdom. Discusses key figures in the field, including Peter Singer, Aldo Leopold, Tom Regan, Andrew Linzey, James Lovelock, Anne Primavesi, Rosemary Radford Ruether, and Michael Northcott. The author has held academic posts in both theology and plant science. Celia E. Deane-Drummond is Professor of Theology and Biological Sciences at University College Chester and Director of the Centre for Religion and the Biosciences. Her recent publications include Creation Through Wisdom: Theology and the New Biology (2000), Biology and Theology Today: Exploring the Boundaries (2001), Re-Ordering Nature: Theology, Society and the New Genetics (ed., 2003) and Brave New World: Theology, Ethics and the Human Genome (ed., 2003). 1. Introduction. The Recovery of Virtue for an Ethics of Nature. 4. The Ethics of Biotechnology. 5. The Ethics of Cloning. 6. Psychology and Moral Agency. 8. 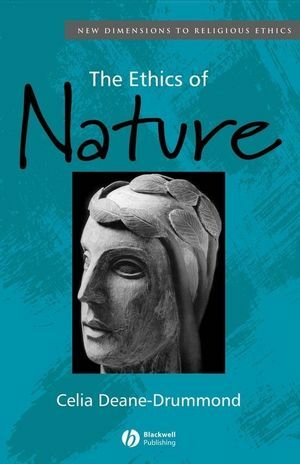 Feminism and the Ethics of Nature. 9. Towards an Ethic of Wisdom.